Your irons are the pistons of your golf engine. There’s no more important equipment in your golf bag. Thus you should spend a little time figuring out what is the best for your level and ability. I’ve seen many golfers playing with equipment that is way too advanced for them. You have to be honest with yourself about your ability and pick out equipment that will bring the best out of your golf game and help you improve. 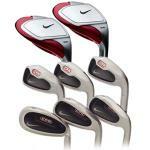 Beginners – There are some great irons for beginners that will get you going with a running start. 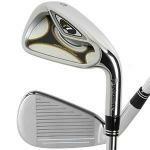 The best clubs out there for you are hybrid irons. 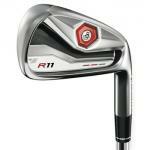 I love the Adams Idea Hybrid Iron Set A7 OS. 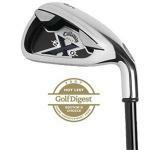 The long irons have an extra 44 grams in the heel and toe for stability. The middle irons are hollow-back middle hybrids designed to get the ball up quick and high with spin, and the short irons are a conventional wide sole cavity back. Another good beginner iron set is the Wilson Fybrid Staffs. 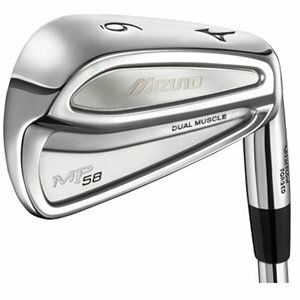 Game Improvement – These irons are good for a wide range of handicaps. 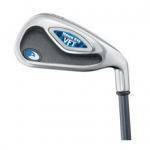 They are oversized, very forgiving and extremely easy to swing. 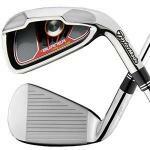 My favorite is the TaylorMade Mens r9 Irons. 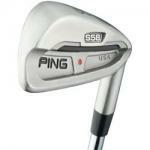 These irons use an i inverted-cone technology to expand the sweet spot, giving the irons a bigger and hotter clubface. 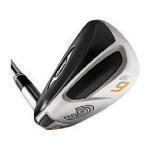 However the club still looks like your traditional cavity back. 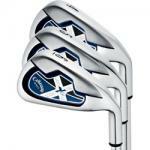 I also really like the Callaway X22. These irons are perimeter weighted to give the iron a huge MOI. 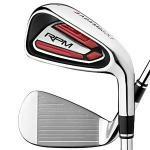 Players – Single digit handicappers that have shot shaping as their top priority will really appreciate how the club designers have managed to make their premium sharp shooting weapons more forgiving. 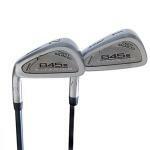 Gone is the old school of thought that cavity back irons lesson your ability to work the ball. 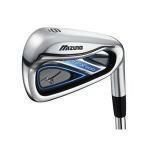 I give you the Mizuno MP-58. This is a beautiful player’s golf club where they’ve put lightweight titanium in the center of the forged clubhead and moved the weight outward towards the perimeter. 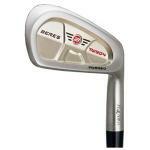 I also recommend Tiger Woods Victory Red Forged Irons and the Bridgestone Forged J38. 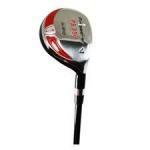 Forgiveness: these days it’s a lot easier to get from my golf club than my girlfriend. Okay, so maybe I booked a tee time on our anniversary. It’s not like she can’t come along and drive the cart. 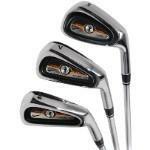 My father is looking to upgrade his set of old Big Bertha Irons, so I recommended these Cleveland Hibore XLi irons. This set is really cool, and now I'm starting to worry about him beating me with them. 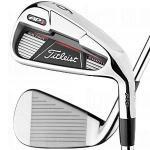 Take a look at these beautiful Titleist cavity back irons. This model is a few years old, but is still a great club. 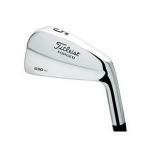 I played these clubs for years before I switched to the Titleist 735CM, which I currently play. You're looking at tools of a champion. Champion Tour's Freddy Couples is swinging these. They seem to be working, as he has dominated the Champions Tour since he burst onto the scene. 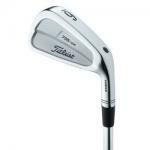 Fred has been playing at the top of his game and hitting these irons pure. I have to tell you, this is one of the best values I've seen for a set of irons since I've started reviewing clubs. 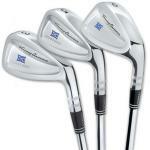 These are Tommy Armour's Silver Scot Forged Cavity Backs, and they are a great-looking set of golf clubs.